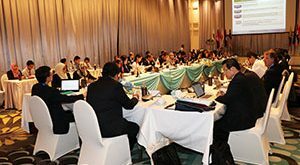 SEAFDEC organized the Forty-first Meeting of the Program Committee (41PCM) on 5-7 November 2018 back-to-back with the Twenty-first Meeting of Fisheries Consultative Group of the ASEAN-SEAFDEC Strategic Partnership (21FCG/ASSP) on 8-9 November 2018 in Langkawi, Malaysia. 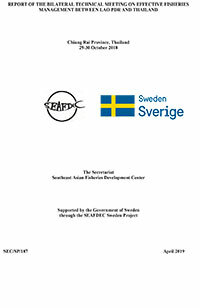 The Meetings were hosted by SEAFDEC Marine Fishery Resources Development and Management Department (MFRDMD) in cooperation with the SEAFDEC Secretariat. 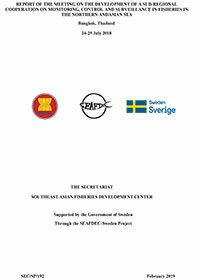 The 41PCM was attended by the SEAFDEC Program Committee Members for Brunei Darussalam, Cambodia, Indonesia, Japan, Lao PDR, Malaysia, Myanmar, Philippines, Singapore, Thailand, and Viet Nam together with their respective delegations as well as representatives from the collaborating partners of SEAFDEC. The SEAFDEC Secretary-General, Deputy Secretary-General, and Department Chiefs as ex-officio members of the SEAFDEC Program Committee together with officers from the SEAFDEC Secretariat and Departments, also attended the Meeting. Starting with this 41PCM, the discussion was guided by the SEAFDEC Strategies Towards 2030 prescribed in the Resolution on the Future of SEAFDEC (RES-2017) adopted during the Special SEAFDEC Council Meeting in 2017. The SEAFDEC Program Committee scrutinized the results of the programs implemented in 2018 and endorsed the proposed program of activities for 2019 to ensure that the activities address the requirements of the SEAFDEC Member Countries. 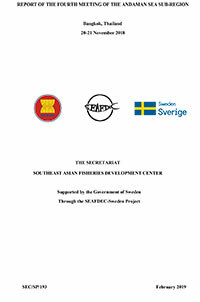 The outputs and recommendations of the 41PCM would be submitted to the forthcoming meeting of the SEAFDEC Council for consideration and approval as well as to the ASEAN Sectoral Working Group on Fisheries (ASWGFi) through the 21FCG/ASSP. Furthermore, the 21FCG/ASSP was attended by representatives from the ASEAN-SEAFDEC Member Countries, the representative from the ASEAN Secretariat, as well as the SEAFDEC Secretary-General, Deputy Secretary-General, and senior officials of the SEAFDEC Secretariat and Departments. 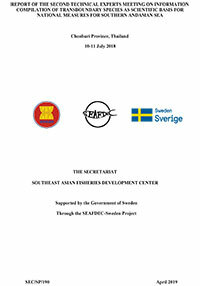 The FCG/ASSP Meeting serves as a joint platform for the ASEAN and SEAFDEC to discuss and gather recommendations regarding the collaborative programs of activities that address several fisheries-related issues and challenges confronting the region. 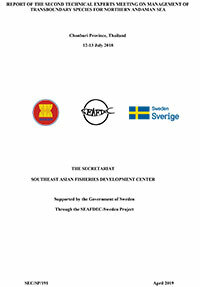 The 21FCG/ASSP discussed the programs and activities implemented by SEAFDEC in 2018 and those proposed for 2019 under the FCG/ASSP mechanism as endorsed by the 41PCM, the progress of other proposals implemented under the ASSP Framework, as well as the policy considerations on issues of importance to the fisheries sector of the ASEAN-SEAFDEC Member Countries.